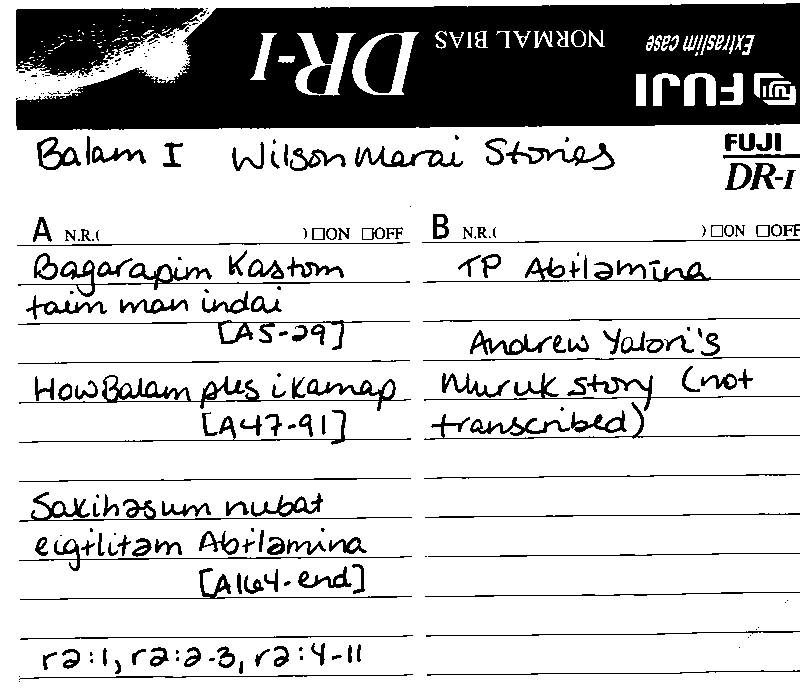 Wilson Marai · Primary, (M : c 75) Balam ~ fluent Arapesh speaker. Born after WWI. Learned TP after WWII, at But Mission. Went to govt. school and Brandi High School. Trained as a teacher. Worked for 25 years as a teacher the Administration government.